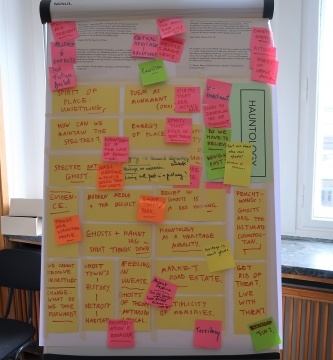 How can we think and do museums and heritage differently? Where is the productive conceptual energy to do so? 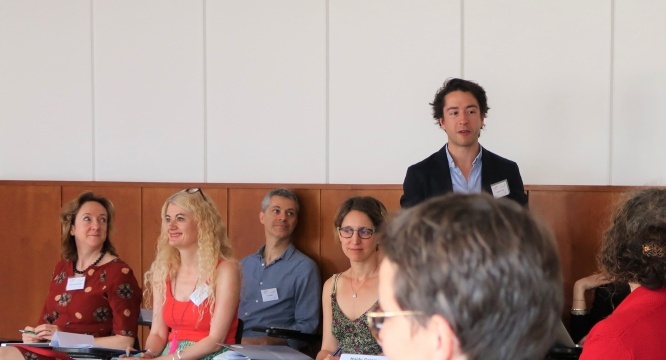 This symposium brought together international scholars and practitioners to think creatively, critically, and anthropologically about some of the liveliest concepts and practices circulating in museums and heritage today. There are certain terms that circulate and trouble existing practices more than others. 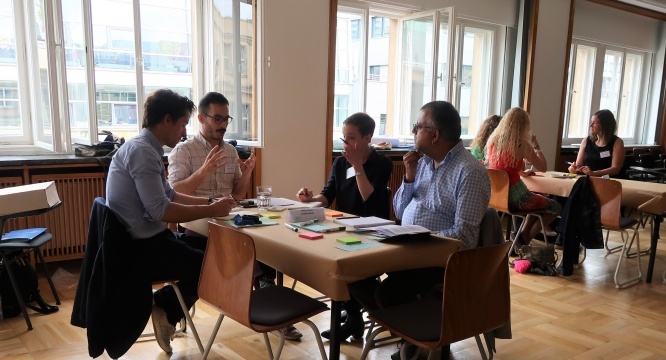 We have identified five such concepts, outlined below, to open ways into exploring their potential for rethinking and transforming museum practice and anthropological theory. What do they change? Who and what do they bring into museums and heritage and who and what do they leave out? And what are their conceptual limitations or pitfalls in practice? Thinking even further, how can such concepts be extended or reshaped to further energise their transformative potential? Or what happens when we put them into dialogue with other areas of theorising or practice? 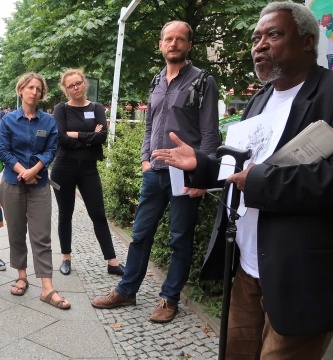 In a format designed to foster such exchange and questions, this symposium sought to think otherwise about anthropology, museums, and heritage today. 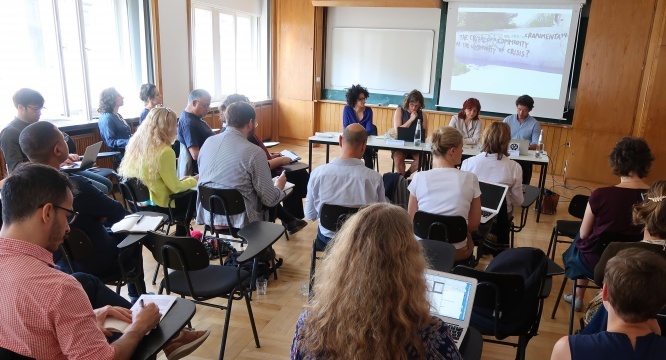 The symposium consisted of three elements – first, panel sessions which centred on the themes of provenance, translocality, alterity, post-ethnological and engagement, to be discussed between academics and museum professional from abroad as well as from Berlin. 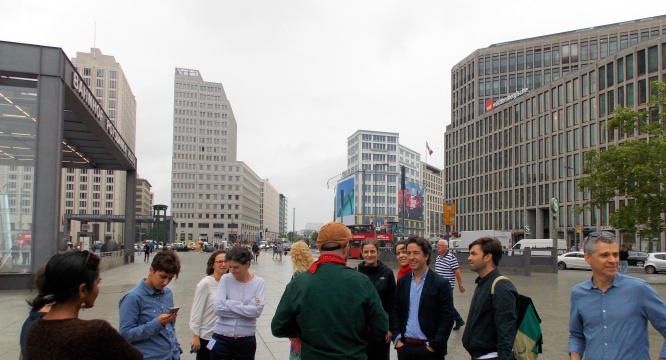 Second, the participants had the opportunity to take part in different walking tours that were offered during the lunch breaks. 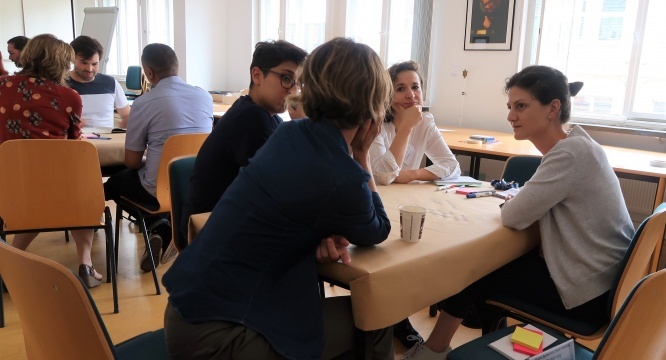 And thirdly, the participants were invited to discuss additional concepts with young researchers from Europe, the US and South America in the form of a World Café. 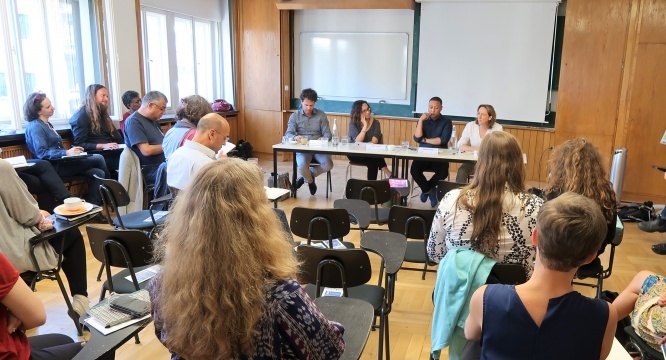 The symposium was concluded by a round-up/closing discussion, chaired by Sharon Macdonald, between Erica Lehrer (Concordia University), Friedrich von Bose (Humboldt-Universität zu Berlin), and Duane Jethro (CARMAH). More information on the different sessions, walks and the World Café can be found in the following sections. PODCASTS – Audio files: These can be accessed via our HearThis account. Registration is not required for access. Research into the history of collections and objects is part of museum work in all fields. In the past years, the term provenance has increasingly gained importance. Employed to prove (or disprove) the authenticity of an art object or the legitimacy of its ownership (above all if acquired during the National Socialist era), the term has strong moral, political, and economic implications. 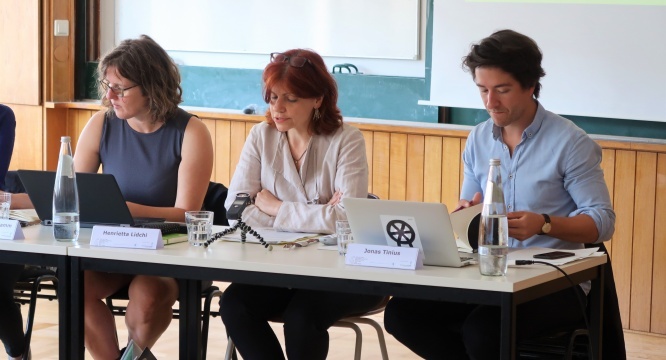 The panel explored whether or not the term is equally useful in the context of anthropology and its collections. 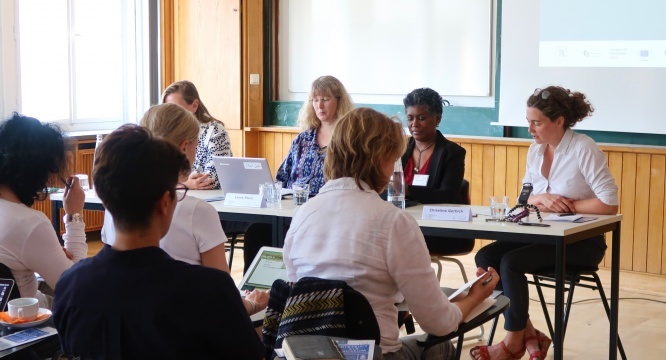 In what ways must provenance research in ethnographic museums (and on colonial contexts) differ from investigating provenance in art collections? 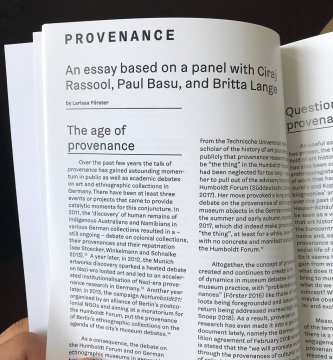 Can the idea of provenance do justice to the often intertwined trajectories of objects across places and between people or does it overemphasise notions of (single and true) origin? And does the eventual return of cultural artefacts to their countries/communities of origin offer an opportunity to radically re-think the notion of the museum as an ultimate repository of heritage? 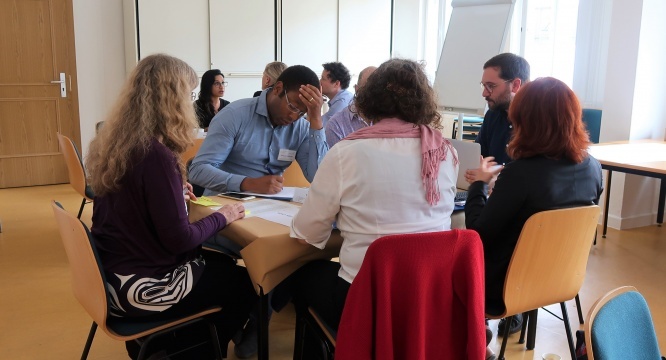 Ciraj Rassool drew on his experience with provenance research and provenance debates on human remains South Africa, Austria and Germany emphasising the need to engage with scientific evidence in a critical and not only empirical way, i.e. as a matter of decolonising institutions and creating a space for the articulation of citizenship rather than only improving collection management. 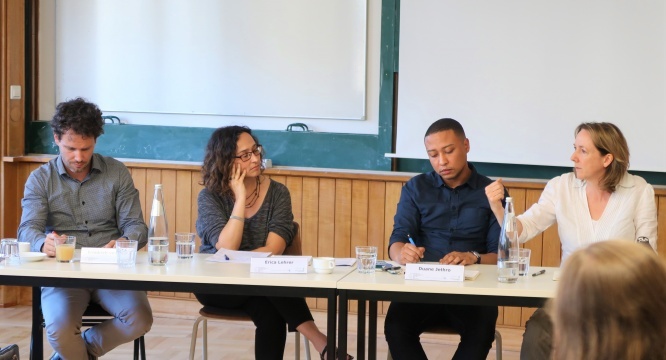 Paul Basu presented arguments from his paper “Object diasporas” drawing on the concept of “remittance corridors” as articulated in migration studies. He highlighted the diverse modes of acquisition of ethnographic objects and suggested the term “stolen gift” in order to think through the responsibility of museums to re-activate historical pathways and give something in return. 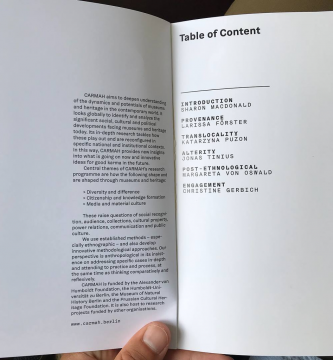 Britta Lange detailed the concept of “sensitivity” of collections as developed in her co-authored book on “Sensitive collections” and proposed to explore the space in between the objectification of humans and “rehumanisation” of objects, as they appear in museumisation and repatriation. In the discussion it was suggested e.g. 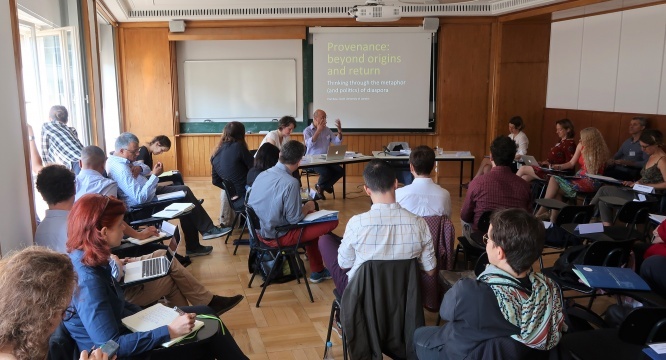 to look closer at where the idea of provenance comes from, what misunderstandings of the complexity of colonial encounters and of ethnographic collections it creates and how we produce new provenance records in contemporary collecting. Ciraj Rassool is Professor of History at University of Western Cape, South Africa. 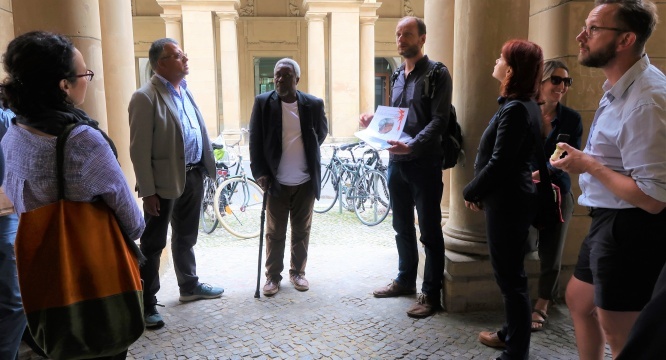 He was chair of Iziko Museums of South Africa and the District Six Museum and serves on the Advisory Board of the Luschan Collection, Berlin. His latest co-edited book is “Unsettled History: Making South African Public Pasts” (2017). Paul Basu is Professor of Anthropology at SOAS University of London. A core strand of Paul’s research has been to explore the intersections between migrations of people, things, ideas and histories. Recent books include “The Inbetweenness of Things” (2017) and “Museums, Heritage & International Development” (2014). Britta Lange is a lecturer at the Institute of Cultural History and Theory at Humboldt- Universität zu Berlin and heads the Lautarchiv of Humboldt-Universität zu Berlin together with Sebastian Klotz. 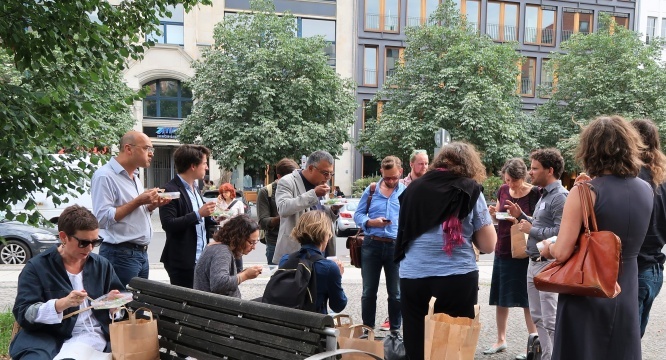 Together with Margit Berner and Anette Hoffmann she published “Sensible Sammlungen. Aus dem anthropologischen Depot” (2011). Larissa Förster is a postdoctoral research fellow at the Centre for Anthropological Research on Museums and Heritage (CARMAH). Her current research focuses on provenance research, restitution and repatriation in/from European (ethnographic) museums. Her most recent co-authored book is “Haut, Haar und Knochen. Koloniale Spuren in naturkundlichen Sammlungen der Universität Jena“ (2016). Addressing the salience of scales and socio-spatial dynamics, translocality challenges binary conceptions of the local versus non-local or the global. The proposed concept of translocality attempts to move beyond its understanding in terms of spatiality or as a type of transnationalism, and examines how it manifests in the movement of people, objects, practices, and discourses. 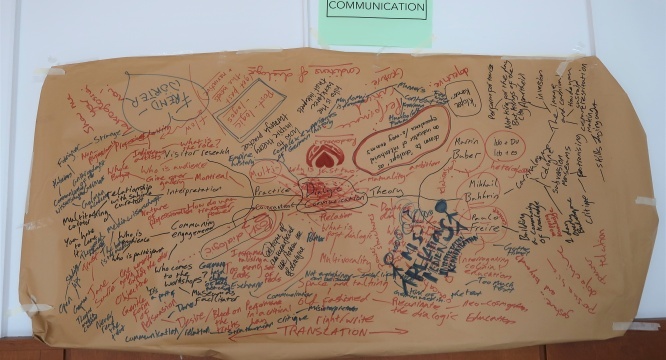 This session sought to ask how translocality can be useful for the current debates on museum and heritage transformations, in particular if approached as a “‘trans’ of ‘across’, and not ‘trans’ of ‘above’ or ‘beyond’” (Lambek 2011). How do place, location, and the production of locality play out in the intensification of movement? How are museums and heritage shaped, reconstructed, and transformed via the mobility of people, ideas, artefacts, practices, and discourses? 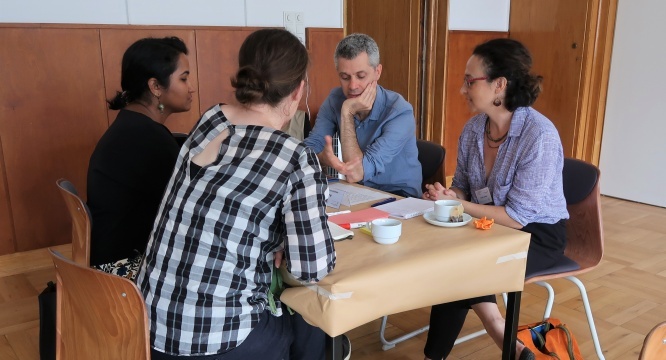 How is translocality put to work in museum and heritage practice, or how might it be? 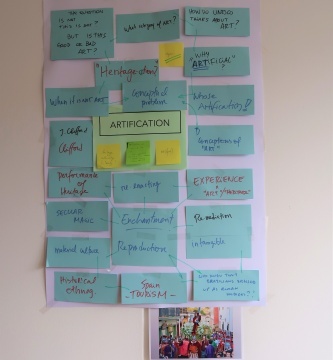 How can translocality enable a non-Eurocentric understanding of museums and heritage? In what ways does it open up space for multiple articulations of Islam, for example? 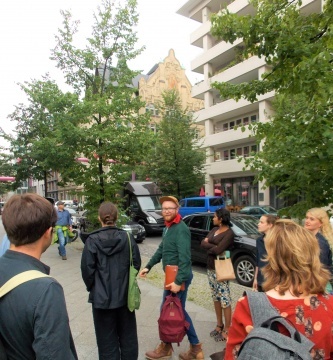 Does translocality create new avenues for re-thinking museums and heritage? 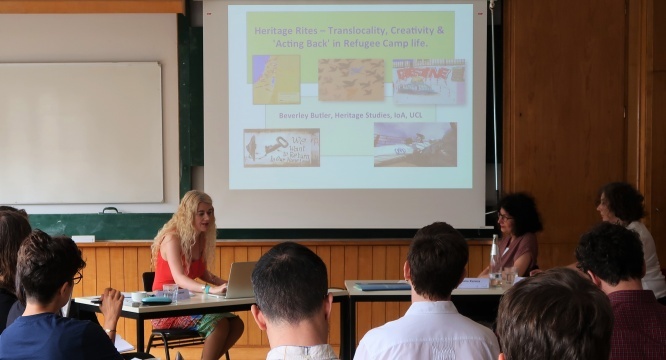 Discussing her ethnographic work in Palestinian refugee camps in Jordan, Beverley Butler drew attention to a complex relationship between heritage and translocality. She argued that the local was not opposed to the national and ‘popular heritage rites’ indicated the crisis of the latter. Banu Karaca posited that translocations of artworks were embedded in state violence in Turkey and the category of Islamic art was complicit in excluding Turkish art as a distinct category. She asked: “What kinds of loss [do] ‘missing’ artworks engender?”. 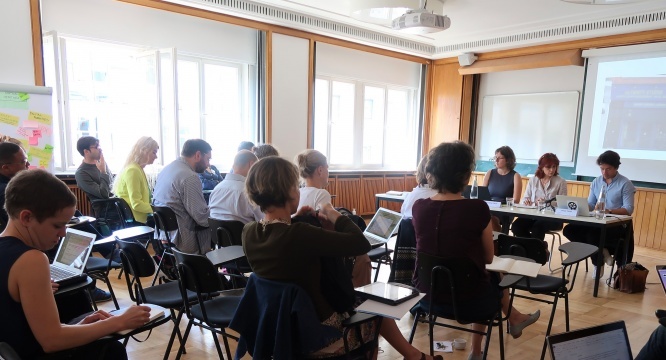 Paola Ivanov emphasised the importance of relating translocality to other ‘trans’ concepts and investigating how locality is produced through interconnectedness. The Q&A session began with the discussion on potential interrelationships between provenance and translocality, and the intersection between locality and provenance, or the fluid and the evidentiary, which would possibly allow us to look at origins in terms of ‘trans-provenance’, as Haidy Geismar suggested. Translocality takes as a point of departure mobility rather than stasis. It strives to bring to light not only how artefacts and people move, but also how categories are disrupted. The challenge however remains: in what ways can we make translocal concepts accessible in museums and heritage contexts? Beverley Butler is Reader in Cultural Heritage at University College London. Her research focuses on critical heritage perspectives, heritage in refugee camps, ‘heritage wellbeing’ and transformative ‘efficacies of heritage’, especially in contexts of marginalisation, displacement, illness and extremis, as well as the Middle East. She is the author of the monograph “Return To Alexandria – An Ethnography of Cultural Heritage, Revivalism, and Museum Memory” (2007). 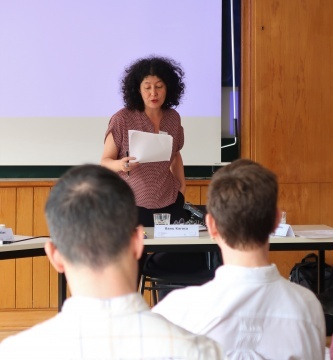 Banu Karaca (EUME and ICI Berlin) is a cultural anthropologist working at the intersection of political anthropology, art and aesthetics, nationalism and cultural policy, museums and commemorative practices. Some of her recent publications examine censorship and freedom of the arts, gendered memories of war and political violence, and visual literacy. Paola Ivanov is an ethnologist and a curator of the Africa collections in the Ethnologisches Museum in Berlin. Her research interests focus on material/visual culture and translocal interconnectedness in Africa as well as on museum studies. In her recent works she dealt particularly with translocality and aesthetics on the Swahili coast. Katarzyna Puzon is an anthropologist and a postdoctoral research fellow at the Centre for Anthropological Research on Museums and Heritage (CARMAH). 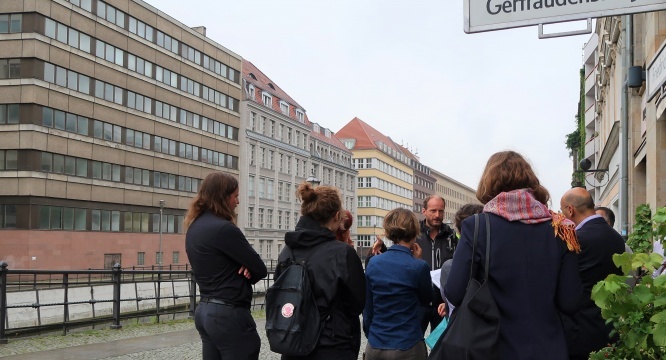 Her research has focused on the intersections of heritage, memory and the city, previously in Beirut and more recently in Berlin, where she examines the ways in which Islam is constructed through heritage developments. ‘Alterity’ describes the state of being other or different, a sense derived etymologically from the Latin ‘alter’, meaning ‘other’, or ‘the other (of two)’. Anthropological scholarship and ethnological museum practices have long been dealing with the representation and the construction of such differences. 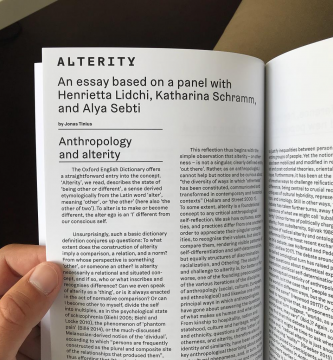 Postcolonial critiques, the crisis of representation, and the Writing Culture debate have questioned the ways in which museums and anthropologists deal with the construction and representation of alterity. To what extent does the notion of alterity imply a comparison and a norm? Who inscribes and recognises differences, and from which point of view? And to what extent can and should we overcome ideas of alterity or move beyond them? What does it mean, quite to the contrary, to stress radical alterity? 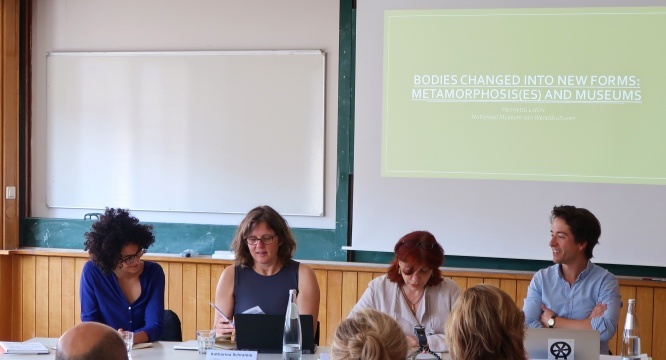 This panel juxtaposed perspectives from anthropology and curating in the context of ethnographic and art exhibition making to discuss the potential and the problems associated with alterity. 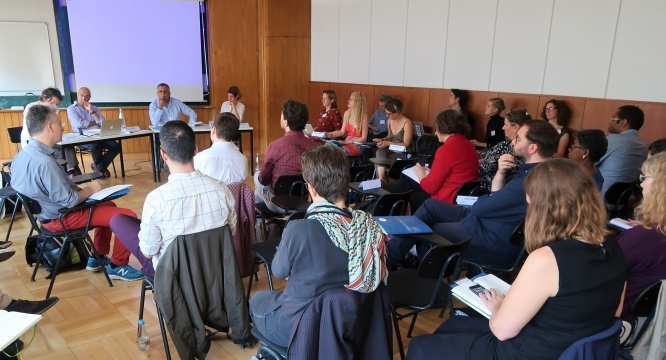 How have debates on alterity influenced exhibition practice in museums and the arts, and is it still – has it ever been – a productive concept? 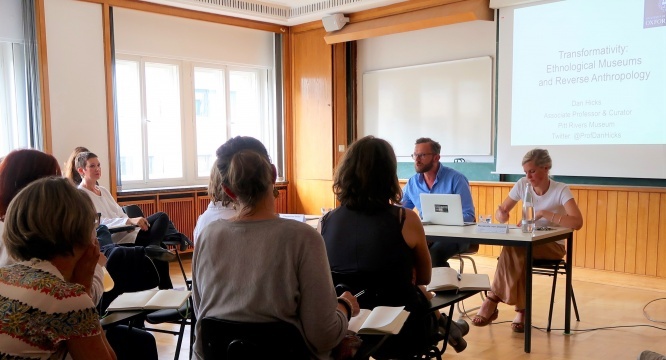 Alya Sebti, curator and director of the ifa-gallery in Berlin, opened the discussion of the panel introduction and the two presented papers by emphasising the distinct possibilities of anthropological and curatorial work in the arts. Exhibitions in contemporary art spaces are frequently conceived with less time for preparation and engagement than anthropological research. However, these limitations also offer possibilities. Instead of aiming at the holistic representation of other cultures, people, or ways of living, she underlined the important of personal enunciation, subjectivity, and empathy. Citing specific exhibition projects that emphasised the vulnerability of both artist and spectator, the discussion opened the notion of alterity to questions about mutuality and understanding: How can I consider ‘others’ as already part of my own sense of self, think identity through relations of difference (Glissant), and alterity as a constant tension and movement between self and other – not as distinct but as intricately and ungraspably related, as porous. The public discussion further raised the issue of power dynamics in museal representation (‘on behalf of whom’ do we make exhibitions? ), the role of empathy and multisensory ways of exploring the experience of alterity and difference (e.g. through smell, touch, or resonance), and the language we use to speak about alterity as a crucial political issue of our time. Henrietta Lidchi is the Chief Curator of the Nationaal Museum van Wereldculturen, Leiden and until 2017 was the Keeper of the Department of World Cultures, National Museums Scotland, Edinburgh. Here she led the redevelopment of the World Cultures galleries at the National Museum of Scotland (reopened in 2011). Trained as an anthropologist, she has worked in museums for twenty years, starting at the British Museum. 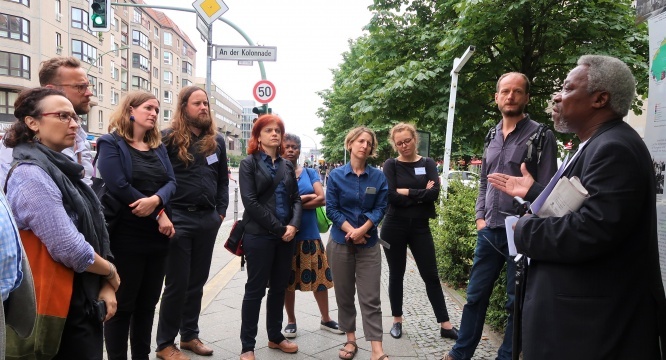 Katharina Schramm is Professor for the Anthropology of Global Inequalities at the Freie Universität Berlin and Honorary Senior Research Fellow at the Archive and Public Culture Research Initiative of the University of Cape Town. Her theoretical focus is on conceptualizing race as an unruly and slippery object in politics and science. She has carried out extensive fieldwork in Ghana and South Africa. Her current research in South Africa is situated at the interface of classificatory practices, the materiality of scientific objects and emerging political subjectivities. Alya Sebti is Director at ifa-Galerie, Berlin. She has curated several exhibitions in Europe and North Africa and was the artistic director for the 5th edition of the Marrakech Biennale (2014). She has written and lectured extensively on art and the public sphere and is a board member of the International Biennale Association. Jonas Tinius is a postdoctoral research fellow at the Centre for Anthropological Research on Museums and Heritage (CARMAH). 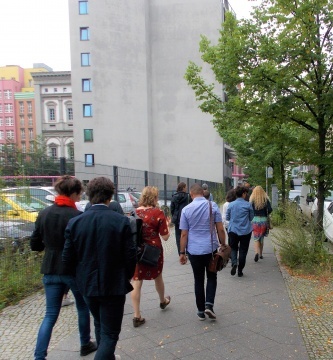 His research explores how curators in contemporary art spaces in Berlin negotiate questions of difference and alterity. He has previously worked on theatre and migration. 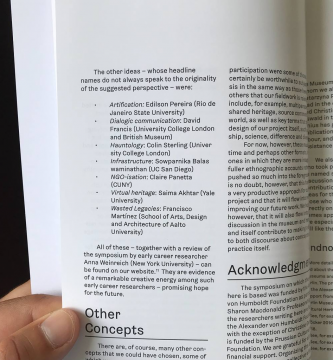 In the context of recent transformations and rebranding strategies of ethnological museums in Europe and North America, the terms ‘anthropological,’ ‘ethnological,’ ‘ethnographic,’ and ‘Völkerkunde’ have progressively disappeared from their titles or have been disguised in acronyms. At the same time, museum theorists and practitioners have called for a ‘post-ethnographic’ or ‘post-ethnological’ museum. Some argue for a radical shift from the museum’s and discipline’s legacies, against the “logos of ethnos” (Deliss); others argue for a “following from” with a difference (Clifford). The prefix ‘post’ does not clearly define what it stands for (or against). What it indicates, however, is the persisting unease about the role of ethnographic museums, and particularly the role of anthropology and its legacies in relationship to the museum. Questioning this constitutive, but challenging, relationship will be the topic of this panel. If anthropology can play a crucial role in understanding non-reductive visions of human potential and possibilities, what constitutes a contemporary anthropological question in a museum with ethnographic collections? How does anthropological knowledge allow us to work with collections in ways that do not fossilise them in glass cases or in storage rooms? Out of the museum’s much discussed ‘crisis,’ what reformative potential does discussion of the ‘post-ethnological’ hold? Can it prompt forms of transformative engagement, and if so, of what kind? 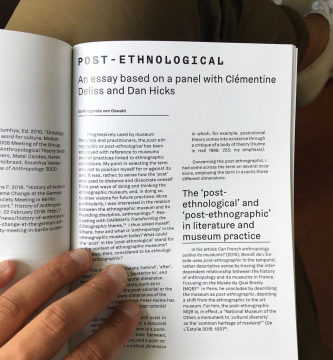 Dank Hicks started the discussion by rejecting the term of the post-ethnological as ‘retro’, stating that it was curious to ‘talk about something doesn’t exist’. Hicks argued for the transformative nature of museums – highlighting their ability to, first, respond to changes, and second, to affect transformation. He centred his presentation around anthropological knowledge production in relation to material culture in ethnological museums, suggesting the concept of a ‘reverse anthropology’ by Roy Wagner (1975). Focussing on the Pitt Rivers Museum and its collections, Hicks passed in review different conceptions of material culture in the museum – materialism (‘the museum is full of things’), (multi-)culturalism (‘the museum is full of people’), relationalism (‘the museum is full of social relations’), and multinaturalism (‘the museum is full of ideas’). For him, these conceptions were not consecutive but layered. Suggesting to rethink and ‘invert’ the museum in the form of reverse anthropology, the museum’s potential consisted in the objects’ versatile ‘transformativity’. Whereas both speakers’ presentations differed in style and content, they departed from the museum’s objects, thinking of them as ‘unstable’, ‘unfinished’, or, as Deliss framed it, as ‘amputees’. In contrast to Hicks, Deliss took her own trajectory as an example to problematize current challenges facing ethnological museums. 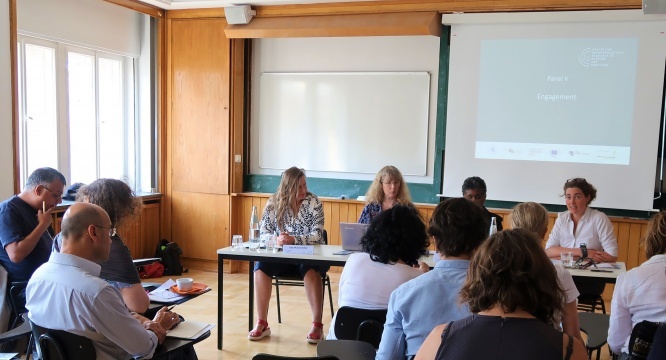 Discussing her experience at the Weltkulturenmuseum Frankfurt in view of the panel’s topic, Deliss challenged the idea of ‘anthropology’s authority and sole right to the interpretation of those collections’, as well as anthroplogy’s right to define access policies to the collection. Deliss thus used the ‘post-ethnological’ as a simple ‘heuristic device to suspend’. 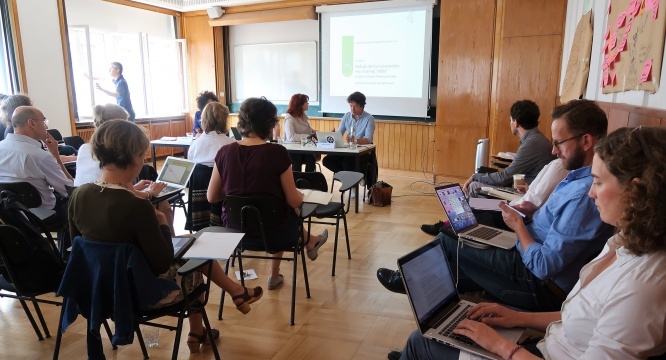 Suggesting a ‘museum-university’ as a model for ethnological collections in Europe, she stimulated the reflection about how to invent work spaces, independent from the exhibition and storage space, in which objects could be researched and their meaning negotiated. Dan Hicks is Associate Professor in the School of Archaeology, University of Oxford, and Curator of Archaeology at the Pitt Rivers Museum, and (2017-2018) Visiting Professor at Musée de Quai Branly. He has published widely on material culture, historical archaeology, heritage, museums, and the history of anthropology. His Twitter handle is @ProfDanHicks. Clémentine Deliss is a curator, publisher, and cultural historian. She studied contemporary art and semantic anthropology and holds a PhD from the University of London. Her work addresses historical and contemporary iterations of global artists’ networks, the remediation of ethnographic collections, and the articulation of artistic practice and interdisciplinary through publishing. She lives in Berlin. 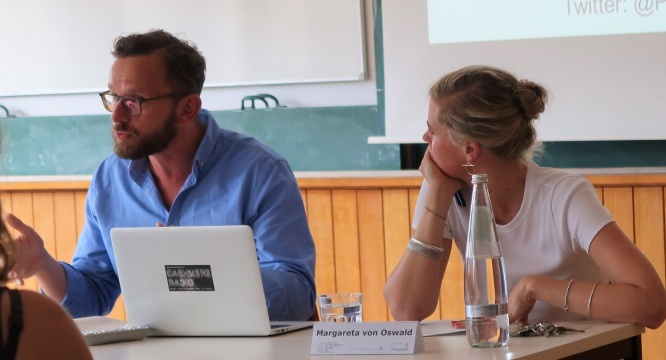 Margareta von Oswald is a doctoral research fellow at the Centre for Anthropological Research on Museums and Heritage (CARMAH) and at the EHESS Paris. 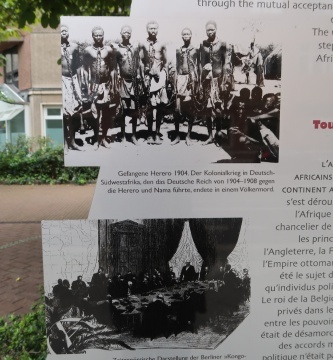 Analyzing two major museum restructuration processes (Berlin’s Humboldt Forum; Tervuren’s Royal Museum for Central Africa), her research focuses on the negotiations around contested material legacies in the present. The term “engagement” is often used as an umbrella term, assembling various practices. 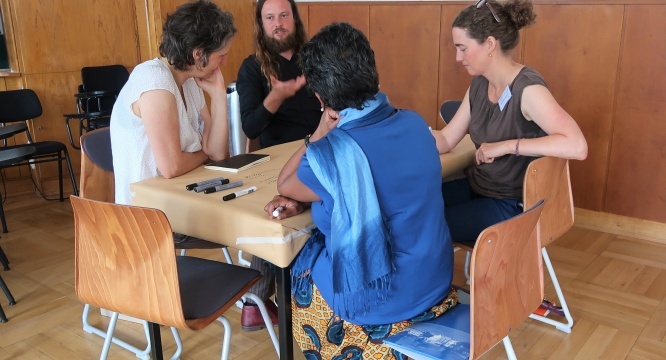 These range from transmitting a pre-set body of disciplinary knowledge up to transformative approaches aimed at creating inclusive and democratic spaces to allow to challenge dominant ways of knowledge construction. 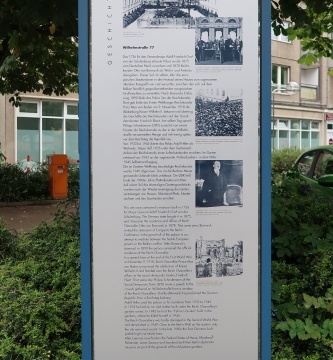 The difficulties to adequately translate the term and its variations (“to engage”, “being engaged”) into German language may serve as a starting point to reconsider the meanings of the concepts, and to add international perspectives on the social and political connotations attached to the term. 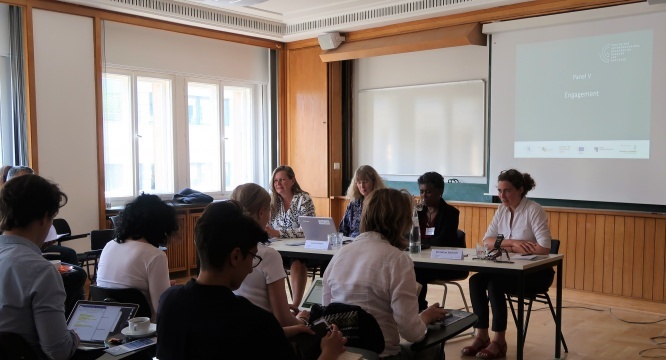 The panel thus looked into how engagement practices shape and are shaped by national agendas, institutional values, epistemological discourses and local communities. What does it actually mean to engage and to be engaged for museums and people in and outside the museum? And how to think about it otherwise, for the future? Drawing on her experiences in various projects with Haida people to negotiate over claims to put indigeneous knowledge and skills back in use of the communities, Laura Peers pointed out that engagement has to do with battles over power, negotiations over property, and building up deep relationships which include moral and legal obligations. With reference to Ruth Phillips she critized engagement practices in which museums are turned into spaces of symbolic restitutions for injustice. Instead, what needs to be in the heart of such engagements is to show a commitment to both, communities and the collections, honoring the needs of people. Negotiating requests over control over objects, including questions of conservation, she argued, deepened relationships between Haida people and museum staff. 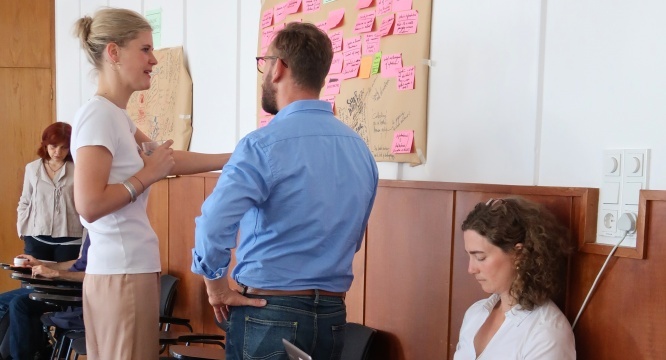 Fostering such forms of deep and continuing engagement, in which all parts of an institution, from the director to front house staff are involved, can slowly contribute to a transformation into institutions which value power sharing as a form of deep engagement. “What do they know of museums who only museums know?” Rephrasing this quote from historian, activist and writer C.L.R. James, Bonita Bennett put into question the power-relations between different disciplines in museum institutions and highlighted the value of democratic leadership which empowers different dimensions and modalities of knowing and learning. Reflecting on her experiences as director of the District Six Museum in Cape Town – one of the first museums in South Africa that collected and represented heritage of those who had been violently forced out of the district by the Apartheid regime– she provided some examples of engagement work done by the museum. 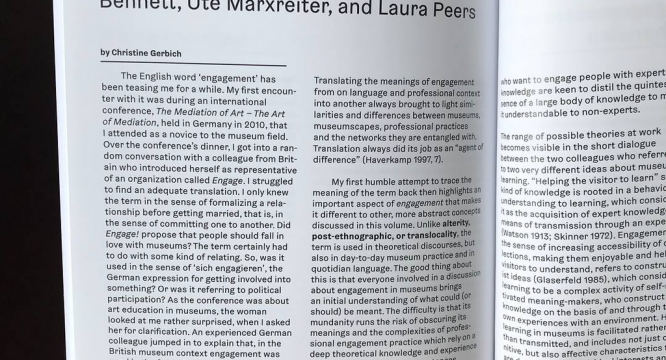 Drawing on the ideas of critical and emancipatory pedagogy, Bonita Bennett pointed to the importance of building up long-term and reciprocal relationships during engagement work which might allow museums to become social and political spaces that empower people to share and reflect on their memories. 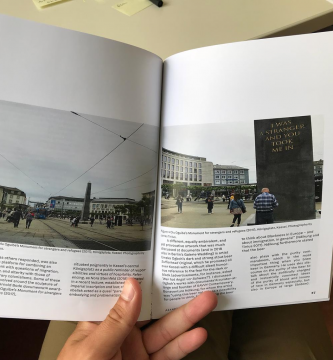 The third perspective was provided by Ute Marxreiter, access curator for Prussian Heritage Foundation’s Ethnological Museum and Museum of Asian Art. 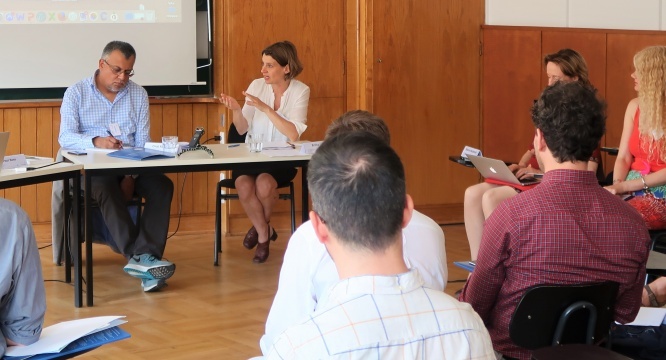 In the German context, she pointed out, engagement is often translated as “participation” – an idea which in some cases raises the stakes very high as it runs against institutional logics. To illustrate the challenges that arise in complex contexts, she provided insights into the complicated and rather intransparent organizational structures of the Humboldt Forum Project, highlighting the difficulties that arise if members from different institutions, bringing various disciplinary perspectives have to negotiate a pre-given theme. 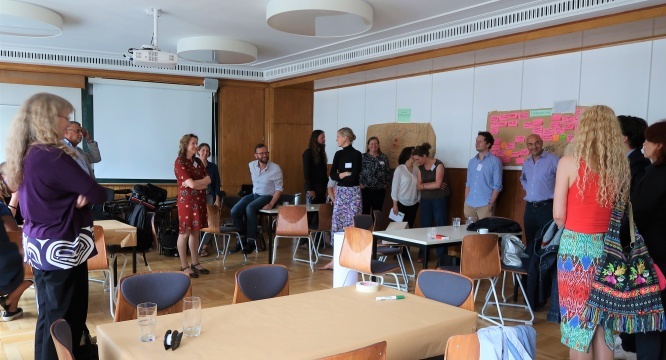 Considering relating and representing as key terms to define “engagement”, she presented some insights into her daily practice by using the example from a recent exhibition on children’s rights. The results of the co-creative process, she argued, was a useful means to get into a dialogue and start building up relationships. At the same time, however, she raised the question of how to avoid these comparably small projects to be tokenized as a kind of legitimization for the major project. Bonita Bennett was appointed as director of the District Six Museum in 2008. Her professional training is as an educator with strong anti-apartheid activist roots. She completed her M.Phil in Applied Sociolinguistics at UCT in 2005, focusing on narratives of trauma of people who had been forcibly removed from various areas in the Western Cape. Laura Peers is Curator for the Americas Collections, Pitt Rivers Museum, and Professor of Museum Anthropology, University of Oxford. Her research concerns historic Indigenous visual and material culture in North America and its roles within Indigenous societies today. Recent work has included: “The Great Box: Learning from the Masters: facilitating the carving a new version of a masterpiece Haida box in the collections of the Pitt Rivers Museum, by Gwaai and Jaalen Edenshaw”. Ute Marxreiter received a training in Theater Studies, Art History and English Literature. 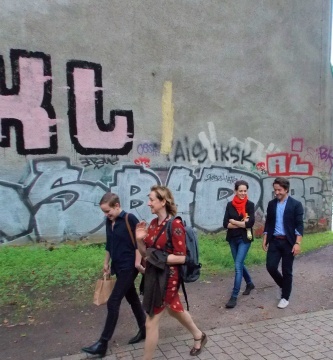 Before working for several major museum institutions as curator of education (among them Bayerische Staatsgemäldesammlungen and documenta 12), she was involved in several collaborative art projects. 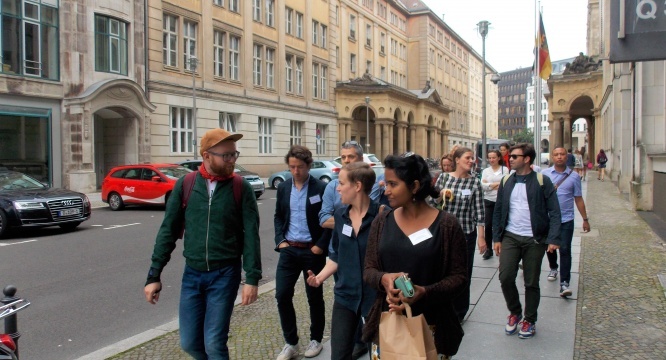 Since 2014 she has been working as an educational curator for the Ethnological Museum and the Museum of Asian Art in Berlin where she is responsible for the concept of the family-spaces of both museums in the Humboldt Forum. 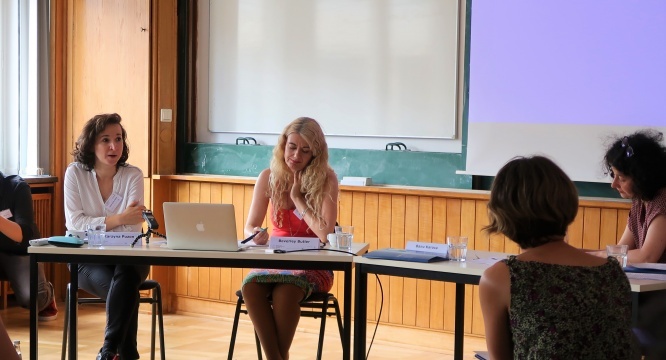 Christine Gerbich completed her Master in Sociology at Mannheim University and is currently a doctoral researcher at CARMAH. 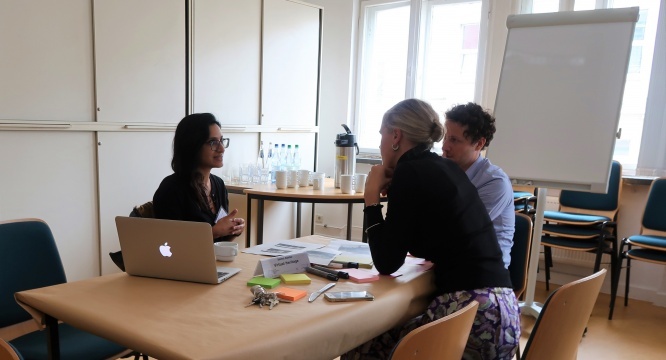 She is part of a team which focuses on ways in which Islam is represented in museums and heritage, looking at the transformation of engagement strategies within the Museum of Islamic Art in Berlin. Among her co-authored publications is ‘Experimentierfeld Museum. 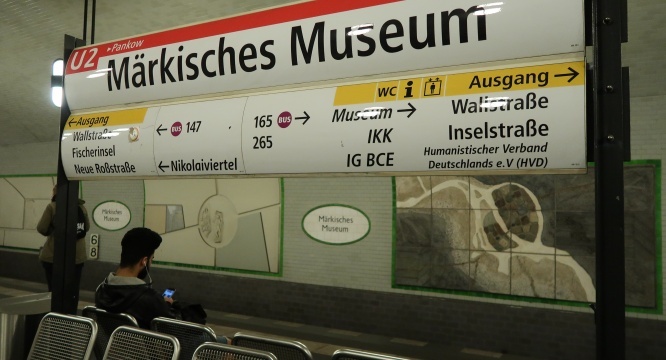 Internationale Perspektiven auf Museum, Islam und Inklusion’ (2014, together with Susan Kamel). 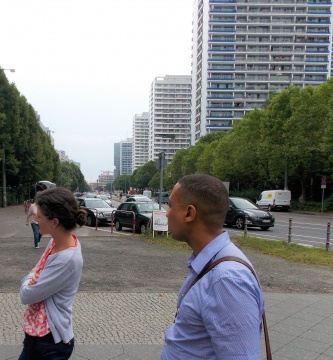 Berlin is not often thought of as a colonial metropolis. The residential city of the Hohenzollern dynasty was, however, deeply involved in colonial enterprises. 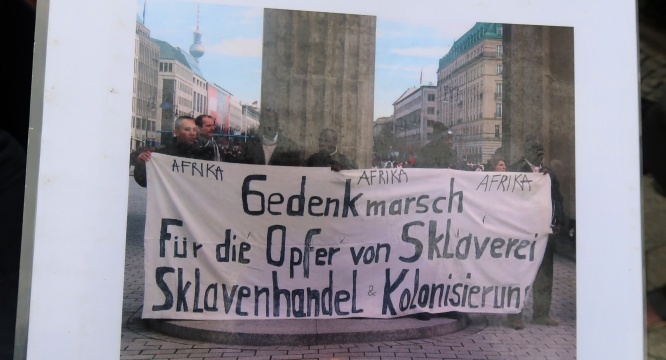 In the late 17th century it took part in the transatlantic slave trade, deporting about 20,000 African children, women and men to the Caribbean and to Berlin. 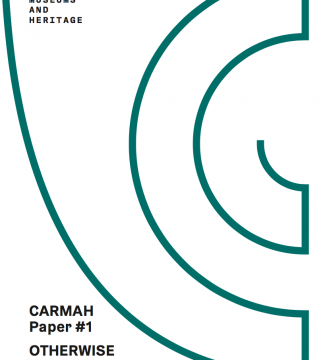 CARMAH is situated in a street whose much debated name is derogatively referring to this African diaspora. 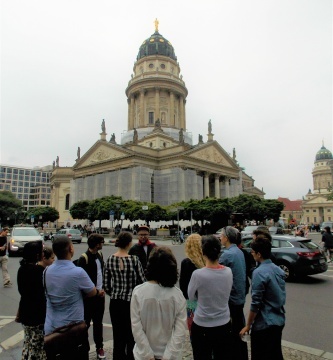 Also, east of the Gendarmenmarkt the infamous Berlin Conference 1884/85 was held, where Germany established itself as a colonial power. 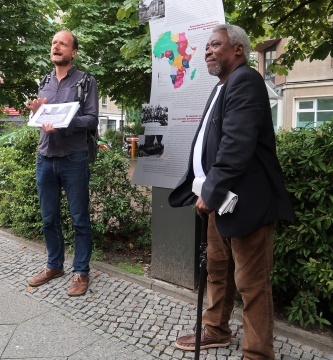 Christian Kopp is a historian, curator and activist working for the NGO Berlin Postkolonial which supports civil society campaigns like “Decolonize Berlin” and “No Humboldt21” and “No Amnesty for Genocide.” He is currently preparing a small exhibition on the first German Colonial Exhibition in Berlin in 1896. 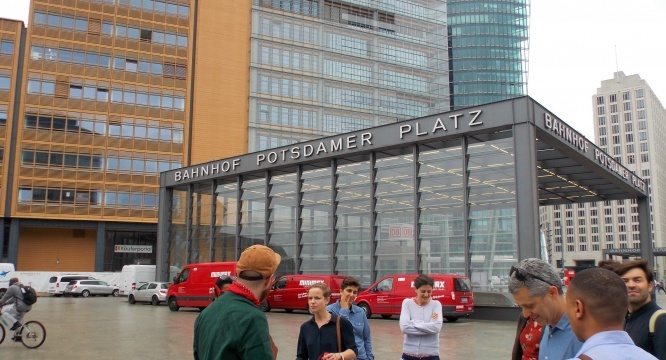 In 2019, the Humboldt Forum in the rebuilt Berlin City Palace will open its doors to the public. 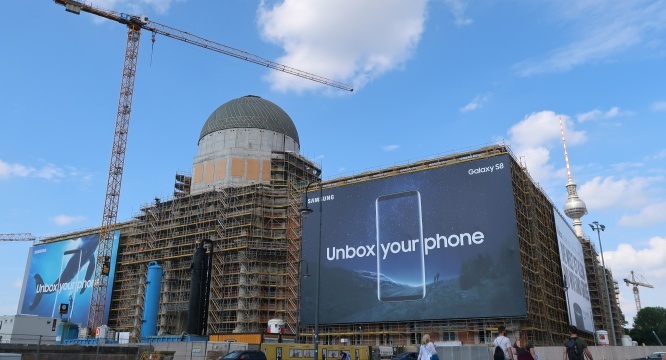 The project has been among the most controversial architectural as well as cultural projects in Germany in recent years. 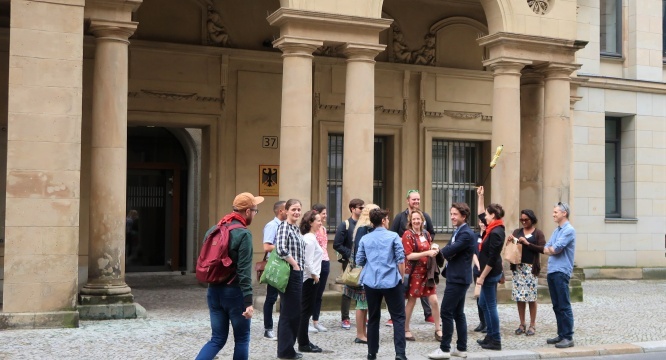 You will have the opportunity to look beyond the baroque façade and tour the building’s numerous exhibition and performance spaces to get a glimpse of the Humboldt Forum’s future programme. 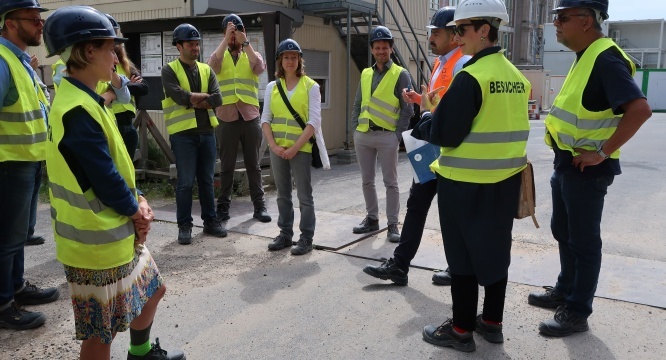 Emphasis will be placed on the entrance hall and the first floor with the Humboldt Lab, the area currently being planned by the Humboldt-Universität zu Berlin. Tarek Ibrahim is an architect and research associate for the steering committee and management of the Humboldt Forum Kultur GmbH. In this capacity he is responsible for a wide range of activities for the development of the institution’s cultural programme. 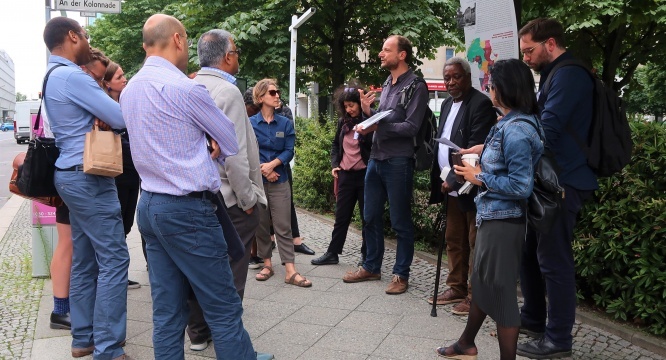 Friedrich von Bose is a cultural anthropologist as well as, since March 2017, curator at the Humboldt-Universität zu Berlin’s Hermann von Helmholtz-Zentrum für Kulturtechnik. As such, he is responsible for the activation of the Humboldt Lab in the future Humboldt Forum. 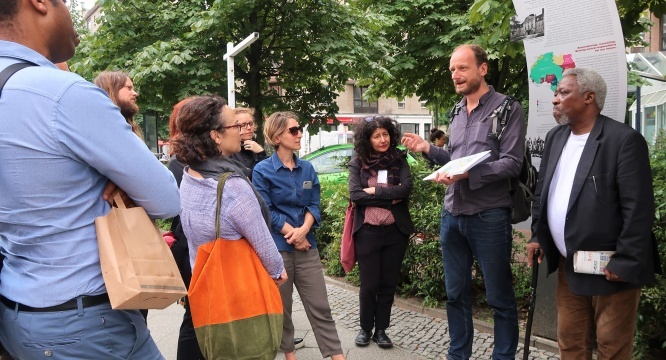 Our walking tour of post-socialist Berlin history will examine the city’s remarkably recent unification, and give us an overview of changes in the central Mitte district since the fall of the Wall. 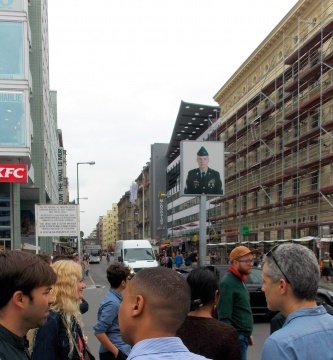 We will visit Checkpoint Charlie; one of the last remaining stretches of the Wall; the former Communist “House of Ministries”, and the symbol of Berlin’s renaissance, the Potsdamer Platz. 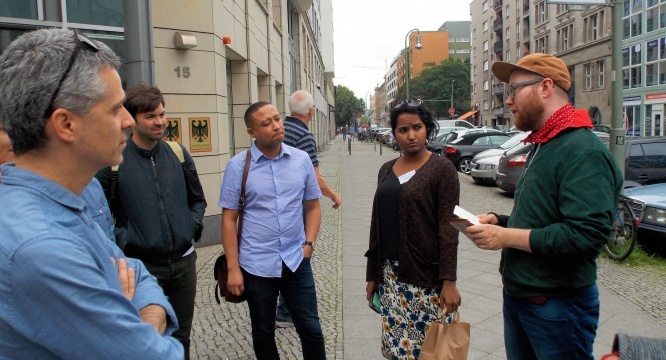 Finn Ballard is a historian from Ireland who has been living in Berlin since 2008. 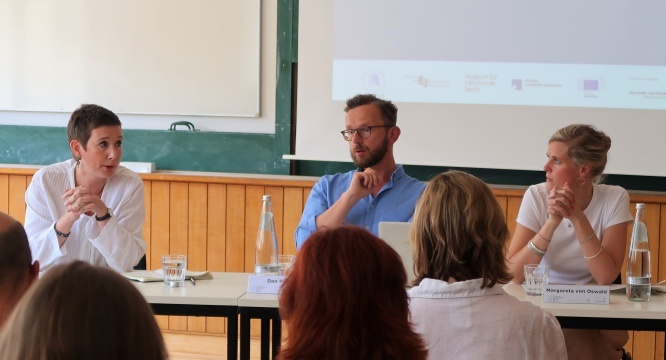 He completed his PhD on the topic of German folklore and popular culture at the University of Warwick in 2012 and has been working as a guide, journalist and museum curator ever since. 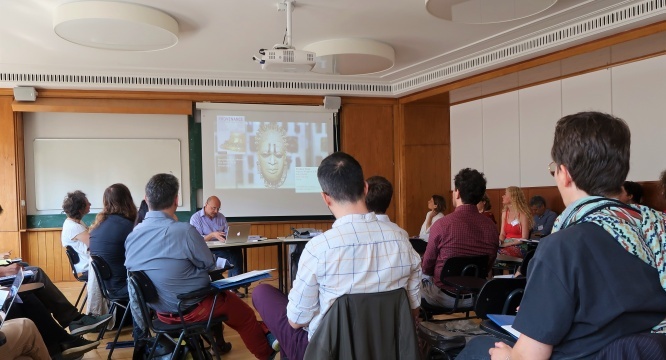 Digitising cultural heritage objects and sites is gaining ground among scholars of architecture, anthropology, museum studies, and related fields. Heritage objects that are digitally recorded and virtually displayed, however, necessitate additional ethnographic and historic data in order to meaningfully contextualise them with respect to their everyday use and intangible value – particularly for objects from conflict areas or sites with complex histories. 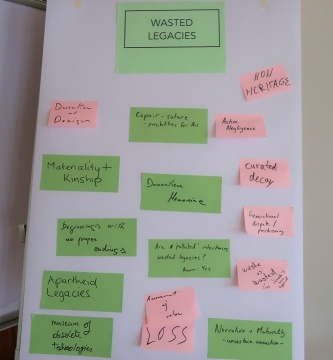 For the World Café, I draw from my work on Project Anqa, which seeks to counter the loss of cultural heritage in Syria and Iraq through digital documentation. 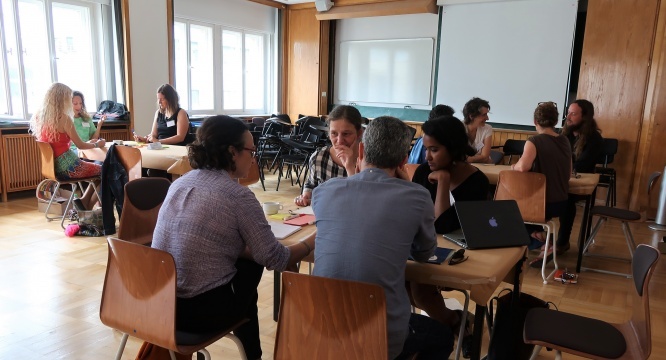 We will engage in discussions around the relationship between technology and heritage recording/display, and ask what the developing fields of cyber or online ethnography, fieldwork, and ethics of preservation can contribute to the concept of ‘virtual heritage’ and museum practice. What happens to the inheritances that did not find any continuation, those which were ‘wasted’? As something from the past, a legacy is passed down and transmitted to the present; it is in this sense that a legacy is inherently generational – always recalibrated by those newcoming. Yet legacies appear to be visible and lifted to significance only if they can be written by the subsequent generation within a heritage, cultural memory, national identity or ruin stories. A wasted legacy is not simply something inherited that has very little economic or symbolic value, or is no longer in use in the present; the wasting of a legacy indicates a shifting memory and therefore a latent tension and dissonance, since the remains coexist with us in a state of potentiality and resonance, showing a tendency to return, claiming for recognition of their significance. Francisco Martínez, PhD in anthropology, is a postdoctoral researcher at the School of Arts, Design and Architecture of Aalto University. He has edited several books, curated different exhibitions, and worked as a journalist in Russia, Germany, Turkey, Spain and Portugal. Francisco has recently joined the editorial teams of the Anthropological Journal of European Cultures and Suomen Antropologi. Journal of the Finnish Anthropological Society, and his monograph “Wasted Legacies? Youth, Repair and Obsolescence after Socialism” is coming out with UCL Press. Since Brian Larkin’s (2013) paper on the anthropology of infrastructure, many scholars have explored how diverse cultures, institutions and individuals get constructed in return. 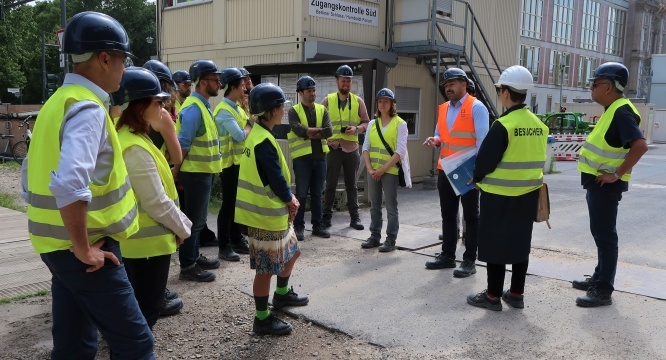 Infrastructure is often inseparable from concepts like development, governmentality, and power, and is perceived as a material, sensory presence influencing cultural lives. Thus, it is always the fundamental aspects of life that are considered. Museums are ubiquitous in most nations. 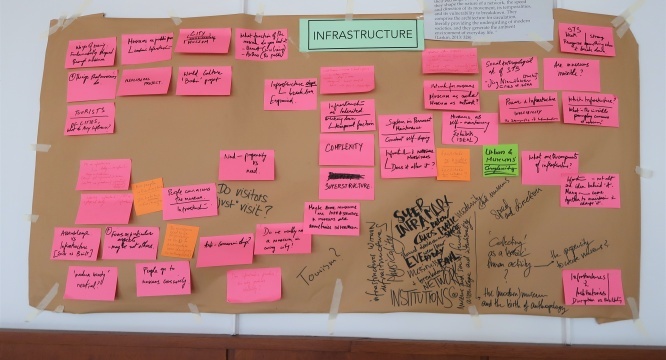 What would happen to museum studies if we treat museums as infrastructure? 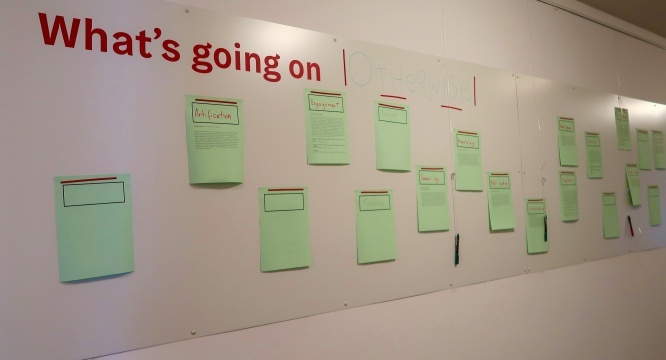 How would this change museum practices such as knowledge sharing and curatorial pedagogy? How will this reshape museum critique? Studying museums as an infrastructure would also drive us to ask how they act as political bodies, and how they should act. Sowparnika Balaswaminathan is a PhD candidate in Anthropology at UC San Diego. She studies ethnographic & art museums, South Asian artisans, discourse, and ethics. She has taught anthropology, world history and writing and is currently an Editorial Assistant for Latin American Antiquity. 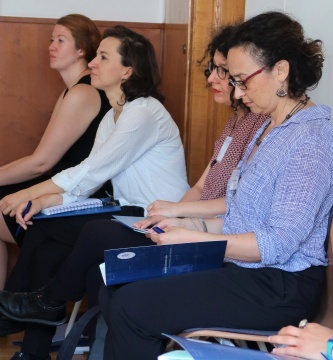 Inspired by the term queer, many scholars and practitioners extended the scope of materials, identities, and histories that are dealt with in the museum and heritage field. In the literature of queer-museum studies, recognizing queer subjects and histories and including them into the narratives, collections, workforce, and engagement programmes seem to dominate the attempts. Could this very intersection of queer and museum/heritage be reconsidered beyond the inclusion and the representation of LGBTI+ identities into the various institutional layers? How could we reconfigure museums in order to overcome the limitations of the liberal claim for identity and recognition? 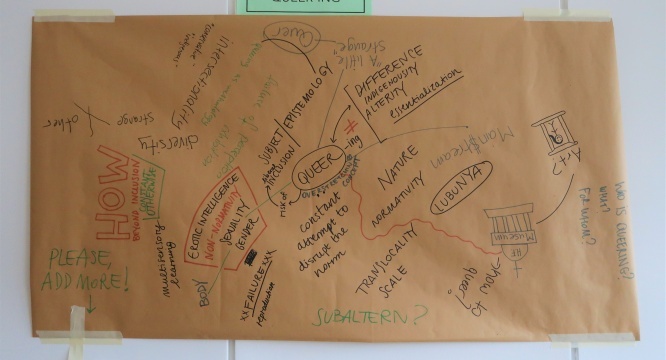 We want to weave a discussion moving from the adjective queer to the verb queering as an opening to rupture the normative knowledge production and manifestations in the realm of museum and heritage. 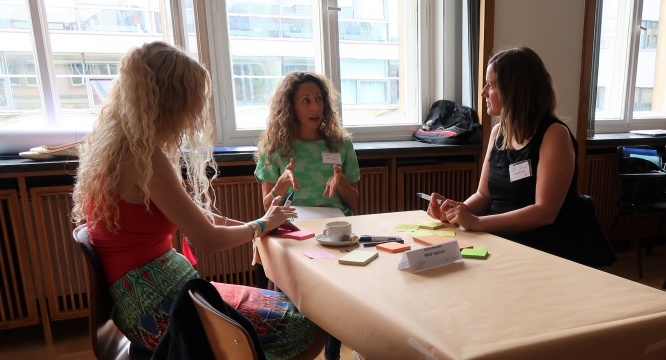 Chiara Garbellotto is a doctoral fellow in the “Science and Citizenship” theme of the Making Differences project at the Centre for Anthropological Research on Museums and Heritage (CARMAH). 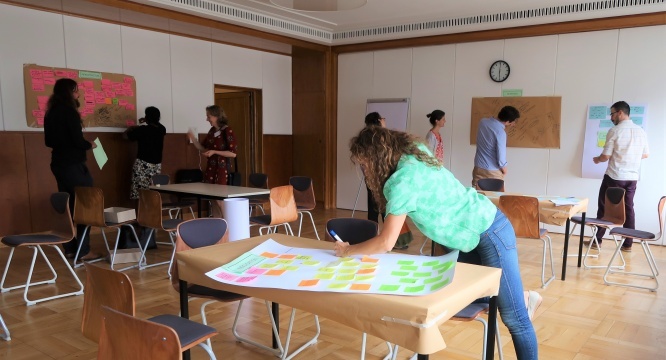 Taking the Museum für Naturkunde as a case study, she explores the museum’s discourse on (bio)diversity and its role in constructing citizenship. She is devising ethnographic methodology in order to collaborate with both visitors and non-visitors. 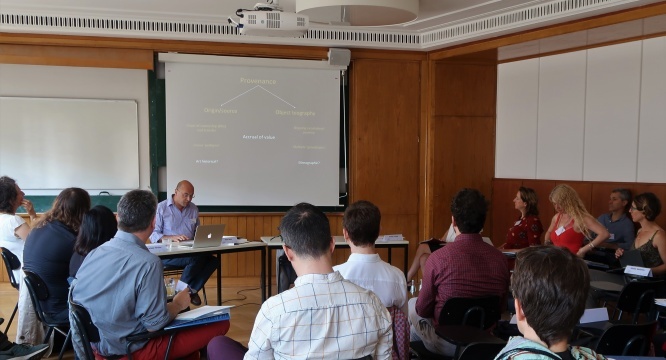 The concept of the dialogic draws on the philosophy of Martin Buber, the literary theory of Mikhail Bakhtin and the radical educational pedagogy of Paolo Freire. It is used to conceptualise communication as a two-way process – that no utterance or piece of text exists in isolation, but always has an intended audience in mind. Conceptualising utterance or text as a dialogic has the potential to disrupt the power of the monologic voice, opening it up to challenge and argument from alternative perspectives. In the museum the application of dialogic theory has taken numerous forms, from studies that have sought to untangle the various discourses that lie latent in the narratives of museum exhibition and galleries, to the increasing number of collaborations between museum visitors and diaspora groups in the exhibition-making process. David Francis is a PhD candidate at the Institute of Archaeology, UCL, where his thesis focuses on Narrative, identity and the museum visitor experience in exhibitions at the British Museum. He has also worked as an interpretation officer in museums, zoos and botanic gardens for over 10 years. First defined by Derrida in “Spectres of Marx”, the term ‘hauntology’ asks us to consider the affective force of what is no longer present, and to acknowledge the failed futures that haunt contemporary life. In this sense hauntology offers a useful vector for rethinking museums and heritage in a way that revitalises their relation to the injustices, exclusions and disturbances of the world. How can we work with or against the absent presences (human and non-human) that are central to the heritage field? What forms of collecting, display and interpretation are required to confront the hauntological within society? How might an aesthetics of the ‘ghostly’ inform meaningful political action in the present? This table will address these and other questions as part of a critical-creative exploration of the hauntology/heritage dynamic. Colin Sterling is a heritage researcher and former curator at the Royal Institute of British Architects. He is currently writing a monograph entitled “Heritage Reframed: Photography, Memory and the Affective Past”. Later this year he will begin postdoctoral research at UCL investigating heritage and posthumanism. Many international policies of patrimonial preservation and maintenance of different types of museums have evidenced the questions related to the artification. This notion (see Shapiro & Heinich 2012) refers to the process of classificatory and material transformation of objects and actions into “art” – as a socially recognised domain with its own techniques, maintained by a set of specialists. 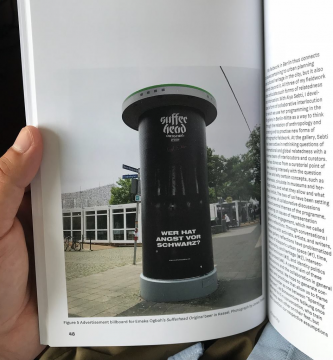 According to the authors, artification “redefine(s) borders between art and non-art” and, I argue, in the wide range of things and activities that can be included in these domains, we could also think about the cultural and material heritage. Moreover, as I conclude from the basis of my PhD studies, the artification process may coexist within dynamics of (temporary) suspension of the artistic framework or in favour of other, more socially relevant ones. Edilson Pereira is a sociocultural anthropologist, university professor, researcher and photography enthusiastic. He has been working at Rio de Janeiro State University since 2014. His main research topics are cultural heritage; art, ritual and religion relationships; aesthetics of popular culture. 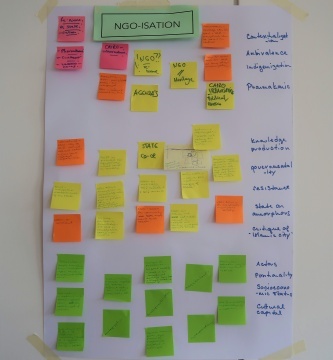 My conceptual contribution to the symposium is NGOisation. I use this term narrowly to refer to the process by which local and international nongovernmental organisations (NGOs) take over social and economic domains previously considered the state’s responsibility. 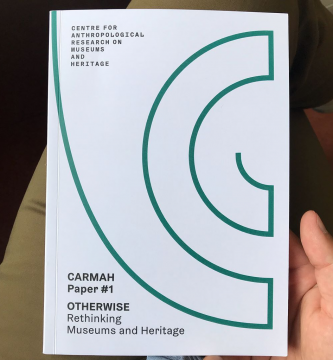 While this is hardly a novel concept in the academic landscape, its application to heritage-making processes has been remarkably limited (with the exception of Chiara de Cesari’s work on Palestinian heritage NGOs). Drawing on my ethnographic fieldwork in Egypt after the January 25th Revolution, I will discuss the NGOisation of urban revitalisation and heritage management in Cairo. More specifically, I will outline the socio-spatial consequences of the work of several local organisations – all newly formed by urban elites and committed to “community-based” urban rehabilitation. Claire Panetta is a PhD candidate in anthropology at the CUNY Graduate Center. Her dissertation explores the spread of local urban revitalisation initiatives in Cairo after the January 25th Revolution. She is the co-editor of “Beyond the Square: Urbanism and the Arab Uprisings” (Terreform, 2016). A collection of essays with an introduction by Sharon Macdonald has now been published as an open-access edited PDF. The file can be downloaded via the list of files on the right hand side of this page, or by clicking here.